Fire chiefs in La Plata County are preparing for reduced funding next year as a result of the Gallagher Amendment, which is expected to lower property taxes across Colorado. The four fire districts that serve the county stand to lose $729,000, according to numbers crunched by Eric Baker, finance director for the Durango Fire Protection District. 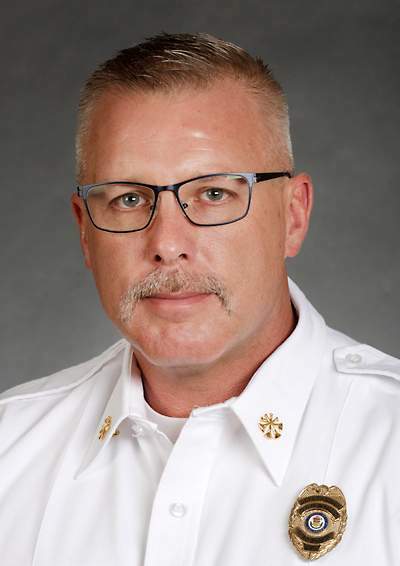 To offset the projected shortfalls, fire chiefs are looking at other funding streams including seeking grants, selling equipment and asking voters to approve a mill levy increases. “We’re very concerned about how this is going to impact us, especially in the wake of the oil and gas decline from last year,” said Hal Doughty, chief of DFPD. The 1982 Gallagher Amendment requires the state to lower the assessment rate for homes when residential values increase faster than nonresidential property values. That results in lower property taxes for homeowners but less revenue for local government agencies, including fire departments. The assessment is done every two years. La Plata County government is projected to lose as much as $1 million in revenue as a result of a lower percentage of taxable property value. School districts also stand to lose money. Local fire departments already are struggling financially as a result of declining oil and gas revenue. Yet, the population keeps growing, which places greater demand on services, Doughty said. “We’re seeing pretty drastic declines in our revenue stream, and we’re trying to figure out how to compensate for that in ways that wouldn’t include closing stations or reducing personnel, because that’s the last thing in the world that we want to do,” Doughty said. Durango Fire Protection District, which projects a $483,000 loss as a result of the Gallagher Amendment, already uses 100 percent of its revenue to run operations, Doughty said. There is no revenue to upgrade or replace aging equipment or build new fire stations, he said. Upper Pine Fire Protection District is bracing for a $205,000 reduction in revenue from the Gallagher Amendment. Evans, who is Southwest Colorado’s representative to the Colorado Fire Chiefs Association, also has recommended a legislative solution: Five counties on the Front Range where the housing market is “on fire” are impacting the entire state as a result of the Gallagher Amendment. So he proposes an amendment to the Gallagher Amendment that would make assessment ratios apply to individual economic development regions rather than the entire state. Housing valuations may be up about 6 percent countywide, which also could bring in more revenue. In addition to the Gallagher Amendment and declining oil and gas revenue, Upper Pine also is worried about loosing a “super rural” reimbursement from Medicare billing if it’s not renewed at the end of this year. “It’s like a perfect storm of stuff all coming together at once,” Evans said.